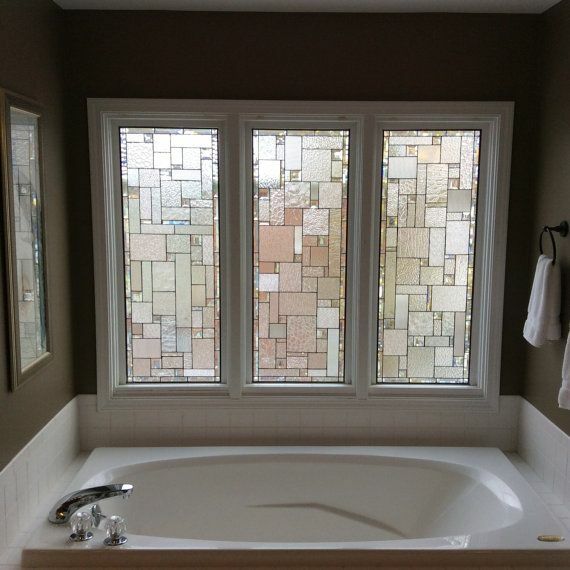 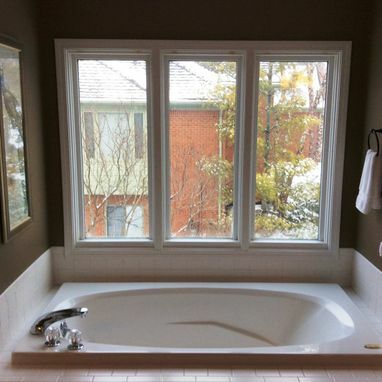 As you can see on the photos listed, this set of windows is already decorating our customer's bathroom and you can see how big the difference is between before and after windows. 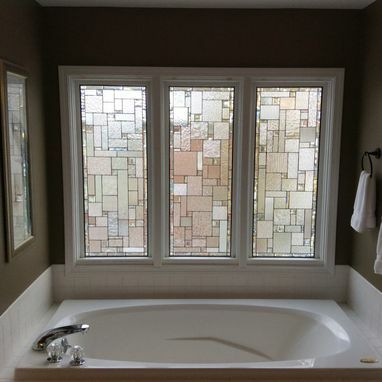 Size: 17 ½ wide X 46 ¾ tall each. 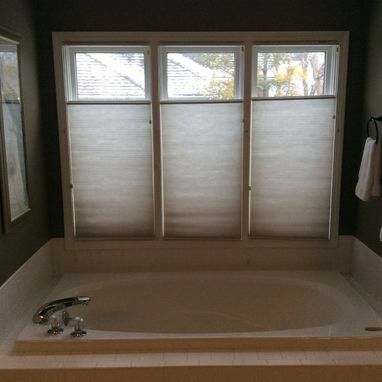 This design is a perfect option if you are looking for privacy and yet allow for light entrance.